Consider this your personal invitation to join us at Olympic Cellars Winery this weekend, August 1 & 2 to celebrate our 30 th anniversary as a pioneer winery in Washington State and to honor our founder Gene Neuharth. I'm one of those people that get all sappy about these types of occasions and want to share it with all of you that have supported the winery over the years. The weather is pretty much perfect, the mountains totally visible and an Adirondack chair on the patio is just waiting for you to slide into it with a glass of wine, lean back and just enjoy doing nothing! Saturday and Sunday, August 1-2 from 11 a.m. - 6 p.m.
Music on the Patio from 1 - 5 p.m.
Cover Charge, $5 donated to the Gynocare Fund that health care for uninsured and underinsured women and men. Sunday, August 2 11 a.m. , 6 p.m. Same as above but music stops at 3 p.m. Seven Cedars Casino is sending Annie Jagger, their poker manager, along with poker table, etc. to make this came official! Surrounding the Poker Game will be a gallery of chairs for your viewing comfort. This should be a hoot! The anniversary weekend will feature the release of Neuharth's Legacy , a commemorative 2007 Cabernet Sauvignon, Syrah and Cabernet Franc blend made with fruit from Champoux and Boushey Vineyards. In addition "The Heritage 4" will be available. 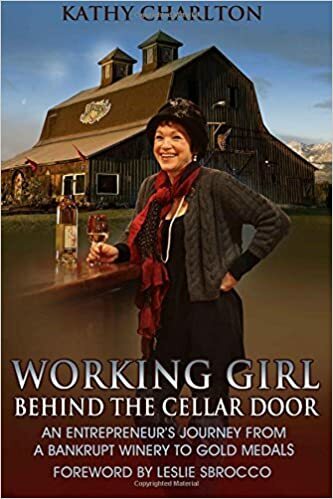 This specially priced package features three original Neuharth wines, Dungeness Red , Dungeness White and the former Dungeness Rosé (now bottled under the Working Girl ® Rosé the Riveter label), as well as the Neuharth's Legacy release . Given the Sunday poker game, the 4-pak will be offered at a lucky $77.77 including tax. 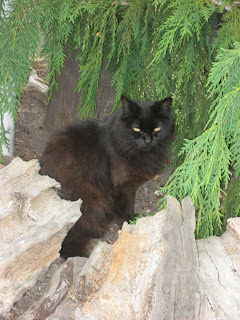 and Moakie (our barn cat) who was born in the original Neuharth winery barn in Sequim.